Will a buckwheat neck pillow really help you feel more comfortable and sleep better? Is buckwheat the ideal fill material for pillows or are these sleep products just the latest in a long line of profitable fads? If you are a neck pain sufferer, these questions take on even more importance and also include the most vital inquiry: Will using a buckwheat pillow help to relieve my chronic neck pain so I can get the much needed sleep that I need and deserve? 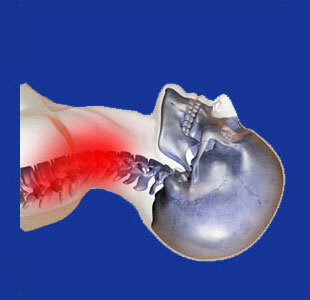 Buckwheat pillows are certainly all the rage in the neck pain product sector. They universally claim to provide some very unique benefits, but also have some downsides to consider. Since we always stress the importance of being an educated consumer, we tackle the idea of using a buckwheat pillow as part of a combined care approach to neck pain treatment. This consumer guide provides all the latest information on buckwheat pillows for neck pain sufferers, including the potential benefits and downsides of use, the cost of the products and the best way to buy them to ensure full satisfaction. What is a Buckwheat Neck Pillow? Buckwheat is the filler material inside these specially-designed and traditionally-styled pillows. Originally called sobakawa in Japanese, buckwheat pillows are actually filled with the hulls or husks from this organic material. The outer part of these pillows is usually made from organic cotton, although we have seen some other material used in less common circumstances, including silk and even synthetic materials. Buckwheat is produced for food consumption in humans and for livestock. However, many companies have also found use for it is manufacturing various consumer goods, such as these pillows. Buckwheat hulls are very cheap, which is ironic, considering the cost of these products is relatively high compared to most other types of pillow fill materials. However, it is important to take many factors into consideration when purchasing a pillow and cost is just one of many rating criteria we will explore. Buckwheat neck pillows are durable and will last a long time. They are usually adjustable for fill volume and therefore support level. Buckwheat pillows discourage rolling in one’s sleep. They encourage good airflow to cool the head and neck. Buckwheat pillows are usually eco-friendly. The cost is relatively high for most quality made products. These pillows can be noisy and take getting used to. Buckwheat pillows are firm and not comfortable for many people. Some pillows can give off an unpleasant smell, while others smell great. Buckwheat pillows tend to be very heavy. We always recommend that consumers try any sleep product before purchase whenever possible. This includes mattresses, mattress toppers, pillows and all accessories that may accompany them. However, we also realize that this advice is impractical for people who live outside major consumer regions and may be impossible for people who order products from abroad. In these circumstances, we do recommend trying to buy from sellers who offer a money-back guarantee and/or a simple and non-argumentative return policy. This is a great way to insulate yourself against financial loss if the pillow does not meet your needs and expectations. As far as providing relief from neck pain, we have received a variety of reports that both support and deny these claims. We believe that buckwheat pillows, like all sleep-related products, tend to appeal or not to individuals tastes and preferences, rather than providing universally-applicable benefits to all people. Therefore, you must judge for yourself if buckwheat pillows might be part of your neck pain solution, a product that neither helps nor hinders, or a nightmare that truly makes your pain worse. We would love to hear your thoughts on our social media pages.